The family of singer Christina Grimmie, the young pop star who was killed during an autograph signing in Orlando, Florida, in June, has released her final music video. The family describes the videos as a four-part mini-series titled "The Ballad of Jessica Blue." The story follows Jessica Blue through her four songs: "Snow White," "Anybody's You," "Deception" and the just released "Without Him." The story follows a young girl's journey into self-discovery through her love life, her womanhood and her music. 'Jessica' is at a crossroads in her life. She becomes suspicious of her boyfriend and is gripped by insecurities only to realize that she is doing more damaged to her own heart and future than any relationship ever could. Jessica has an upcoming showcase where she hopes to prove to herself and others that her music is as strong as her desire to be great. With the showcase days away she can't seem to put together her set or her songs. Jessica is torn between boyfriend issues, her creative issues and a general feeling of self-doubt. She confides in the people closest to her and they all give her words of wisdom along her path of self-discovery. Her beloved grandmother reminds her that all the security, strength and love she needs is in that powerful voice on the other side of her heart. Jessica finds her path by doing what she loves. She sings from her heart. "Christina shot these videos back in February with about six hours of choreography and four days of filming before she left for the "Wildfire" tour. Everyone worked so hard on this project putting in extra long days on set to ensure we got the best quality project we could for the minimal budget we had. I couldn't be more proud of her and everyone involved for the labor of love that was put into this project," her family wrote on her Facebook page. The first video "Snow White" was published on YouTube on Aug. 11. The second video "Anybody's You" was published on YouTube on Aug. 18. The third video "Deception" was published on YouTube on Aug. 25. The fourth and final video "Without Him" was published on YouTube on Sept. 1. 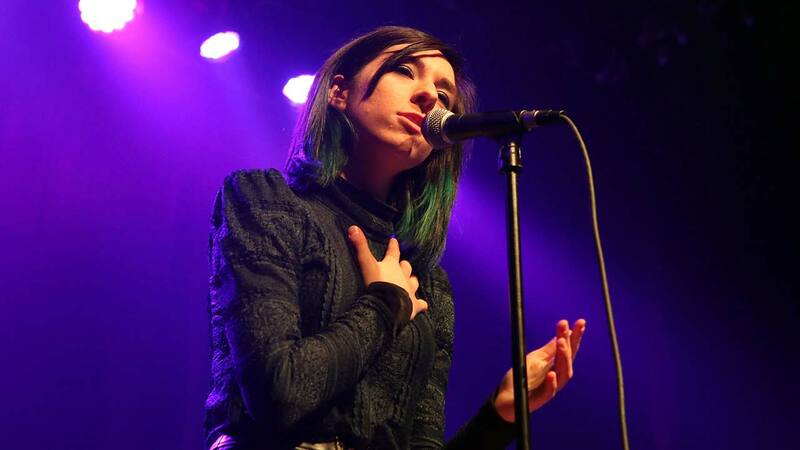 Grimmie attended Cherokee High School before moving to California with her family and finding fame first as a YouTube sensation, and then as a contestant on NBC's 'The Voice' in 2014. The same year as her appearance on 'The Voice,' she returned to Evesham Township to perform for its 4th of July celebration.